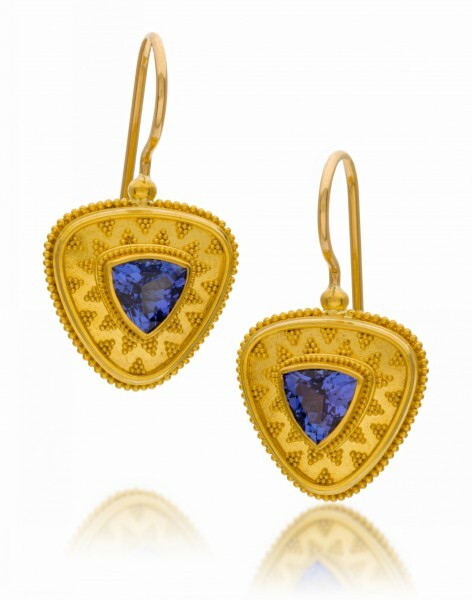 22K gold featuring 6mm tanzanite and .03 ctw “hidden diamonds” on the reverse side. Ear wires are in 18K gold. Measures approximately 1 3/32” high. These earrings may be reproduced with the gemstone of your choice.